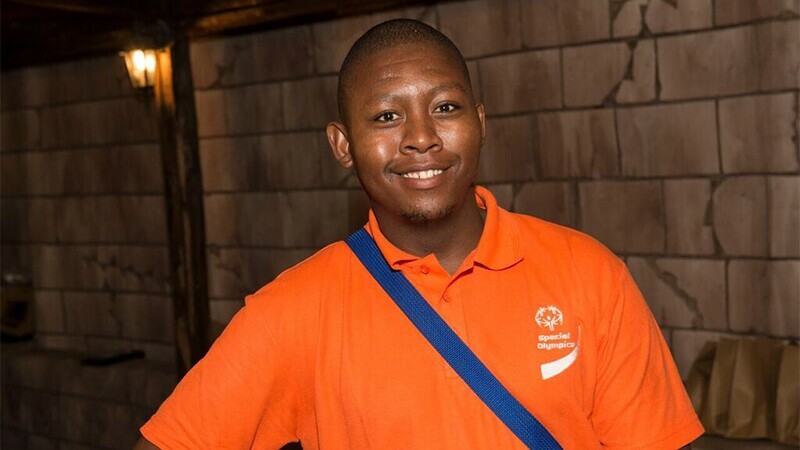 Jimmy Masina is an athlete leader from South Africa and works as an Office Assistant for Special Olympics Africa. He was chosen as an official for Unified 7-a-side and 5-a-side football for the Abu Dhabi 2019 World Games. After the 2009 World Games, he officiated again at the Athens 2011 World Games. In 2012, he officiated at the Special Olympics Africa Regional Football Unity Cup Tournament. He then officiated floor hockey at the 2013 World Winter Games in South Korea and football (5-a-side) at the Los Angeles 2015 World Games. 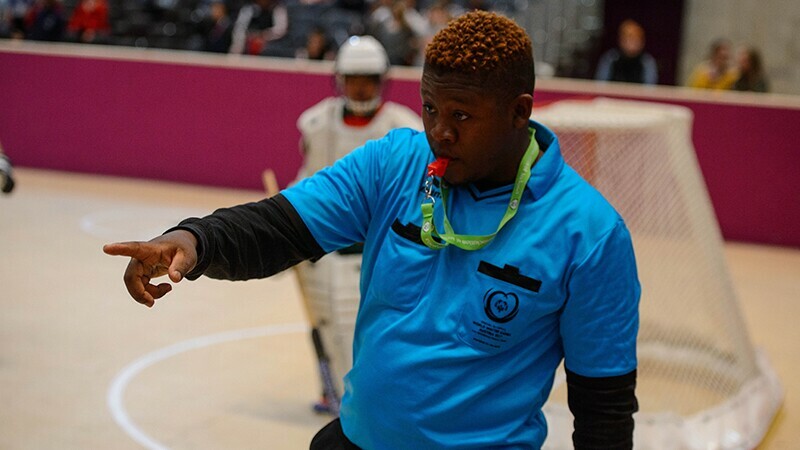 At the Austria 2017 World Winter Games, he officiated one of the longest floor hockey games of all time. It took three hours. Jimmy started as an official in 1999 after deciding to play floor hockey: “One of the assistant staff (working at the kitchen) could not train us at a particular time [because] she had to go cook for the athletes in the school. I took the lead to train other athletes during the extramural activities, and I was a goalkeeper for the team. Then my school received an invitation [for me] to come and participate as an official for floor hockey. This was in the times where only two Programs in South Africa were implementing floor hockey out of the nine provinces. By the way, floor hockey in the country is not only a winter sport, but we play it year round! Through the sport, I felt I should not limit myself. I can do better. When the Athlete Leadership Program [was introduced, it] allowed us to be given the opportunity to have meaningful roles. We were given the chance to attend [a training]. 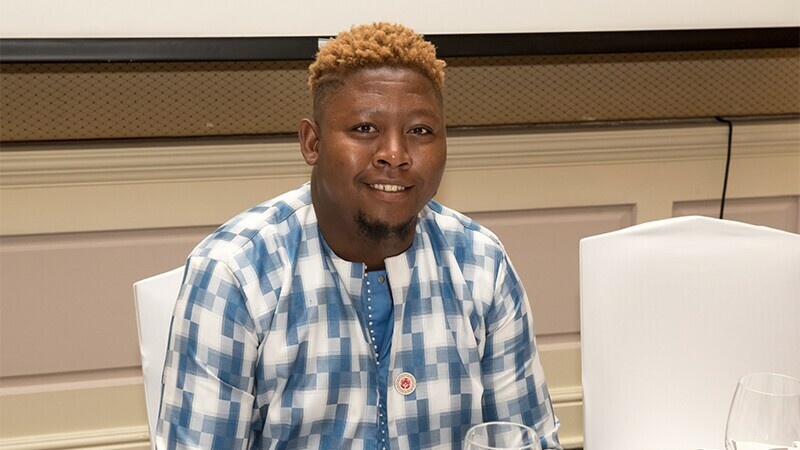 I would have not let the opportunity slip from my fingers; hence I attended the SAFA [South African Football Association] officiating level 1 course. His favorite parts of being an official are “you get the chance to be in charge. You showcase your skills. You show that you are so focused and alert, you stand your ground, and your confidence needs to come out. One is more vigilant even if it is challenging. I am part of the leadership in training of coaches and athletes around the country for floor hockey. Together with other athletes, I do score keeping and advise coaches on line rotations for excellent competitions to take place. I help Special Olympics South Africa when they are introducing new coaches to Special Olympics training, divisioning, and competing in floor hockey. I also observe the officials [to make sure they] do what they had been taught. 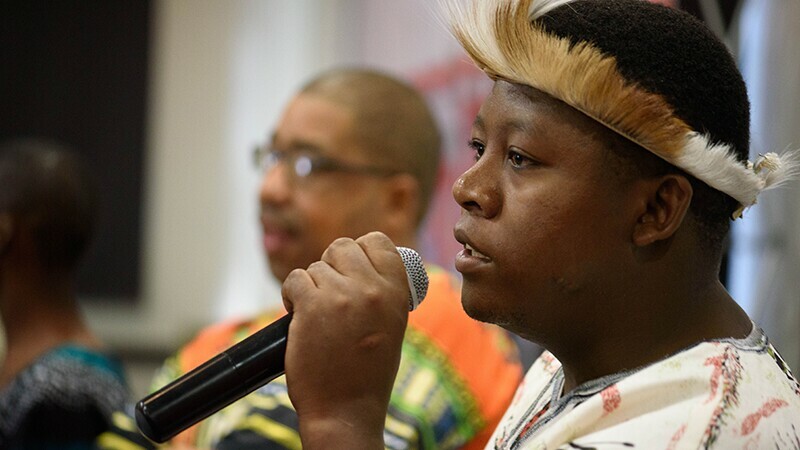 At the 2019 World Games, Jimmy is excited “to see how Unified is exercised globally. The movement is growing, and my focus will be more on the field on how Unified is exercised. [At] the last Summer Games, there were Unified football teams, and the games were tense because of the level of ability and competitiveness. The pace of the game and skills applied at the football competitions is what excites me. Carolyn Phillips works as the Manager, Stakeholder Engagement for the Brand, Communications and Content team at Special Olympics. She joined in February 2018, and although February 2019 will be her first work anniversary, it will be her fourth year volunteering and working for Special Olympics around the world.